Sheldon Community Building, 416 9th St. 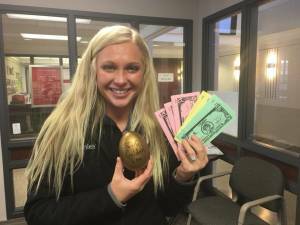 Put your riddle skills to the test and earn big during the Golden Easter Egg Hunt! Stay tuned for the first clue to the whereabouts of the Golden Easter Egg. Competition begins Friday, April 12th and continues through Friday, April 19th (or until Egg is located). Spring Crafts at the Library: Wednesday, April 17, from 2:45- 3:45 p.m. Intended for children in K-6th grade, registration required.